Surely everyone – especially those who live in large metropolitan areas, will have had at least a bit of exposure to the phenomenon known as road rage. You may have experienced it yourself or had to deal with it from another driver. However, when it comes to those other drivers, you really don’t need to be just a helpless victim. Here are a few things to consider when it comes to the road rage of others. It is critical that you don’t let the actions of others trigger your anger. If you do, then you become a part of the issue. Realize that it isn’t personal. If you were somewhere else, the angry driver would just be doing the same thing, but to someone else. Following too close or tailgating might not always mean that the driver is experiencing road rage, but it does signify some sort of anger. Driving too fast, regardless of the lane, is one form of the driver experiencing too much anger. It doesn’t matter if the driver is raging or merely angry, this behavior is aggressive and can even be considered to be life-threatening. Cutting people off on purpose. 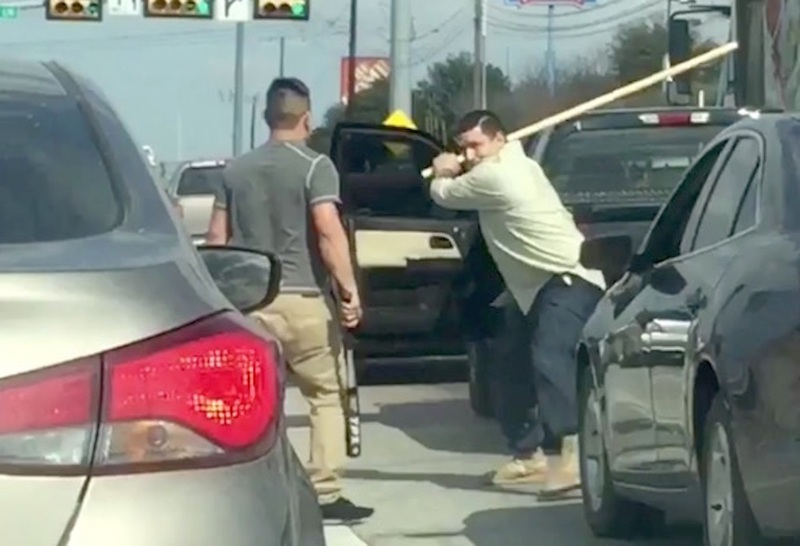 While this doesn’t necessarily signify road rage, (it might just be poor driving) it is one thing that ragers do just to intimidate and irritate other drivers. Obscene gestures are probably the form of road rage that people see most often. Driving in the fast lane at a slow speed. This, and driving 5 mph below the speed limit or more, regardless of the lane you are in, can be hazardous to other drivers. This is a passive aggressive form of road rage for some people. Running cars off the road is most definitely road rage. It can be life threatening. It is also against the law. If this happens to you or if you see it happen to anyone else, call 911 immediately. 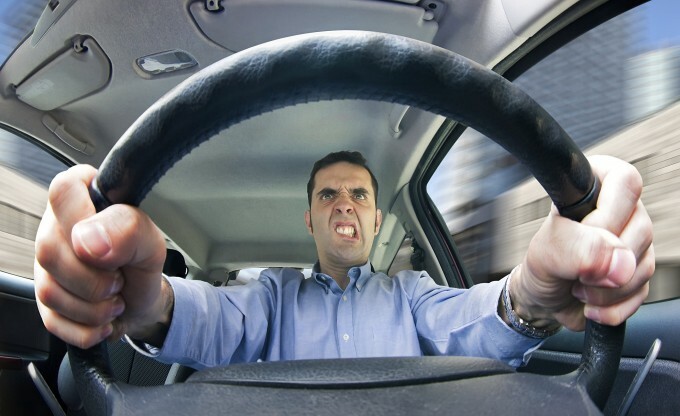 Cursing, yelling, and screaming are ways that angry drivers voice their feelings. Road rage can also take the form of actual physical violence. Things like physical assault, threatening people with a weapon, and even actual shootings have all been reported in situations that were incredibly hostile. There are suggestions regarding what to do when you are on the road with a rager. Here are a few of them. Get and stay out of their way. Your safety should be the main concern, so try not to irritate the other driver, potentially making the situation you are in even more dangerous than it already is. If the road rager happens to be giving you the peace sign minus one finger, the best thing to do is ignore them. You might also be able to avoid both fear and anger by not even looking at the other driver. Try to remember one of the times when you might have been in a hurry, running late, angry and irritated. You may have even exhibited some of the same behavior. Think about things like your children, your best friend, or even a funny joke. Remember that you have love in your life. This can prevent you from being caught up with an emotional reaction to the behavior of the rager. Try to relax and breathe deeply. When you are more relaxed, you will make better decisions and your reaction time will be better, which is always a good thing on the road. Most of the time, people who experience road rage don’t like to admit that there is a problem, or that the problem is not with them but with the other drivers who trigger the anger. You are smarter than that though! You know that it doesn’t matter how badly someone else is driving, your actions and your anger are both your responsibility. On that note, here are a few things to think about. Keep in mind that whatever might happen on the road, there is no way that it is more important than your freedom or your health. Both of these things can be jeopardized if you allow your road rage to get out of control. As humans, the most dangerous place that we can possibly be is in a large, high powered chunk of fiberglass and metal that is moving at high speeds down a road crowded with other chunks of fiberglass and metal. We just can’t afford to add anything to that already dangerous situation by allowing our anger to take control. When we get incredibly angry, the higher functions in our brains can shut down. People who have massive issues with rage can actually black out at times, which is proof of the brain’s higher functions shutting down. The very last place that you want for this to happen is behind the wheel of a moving vehicle. For those who truly want to beat the road rage issue, you have to realize that it isn’t happening because of the other drivers on the road. The issue is when and how you actually react to them, and that the anger problem was with you before you even got into the car. 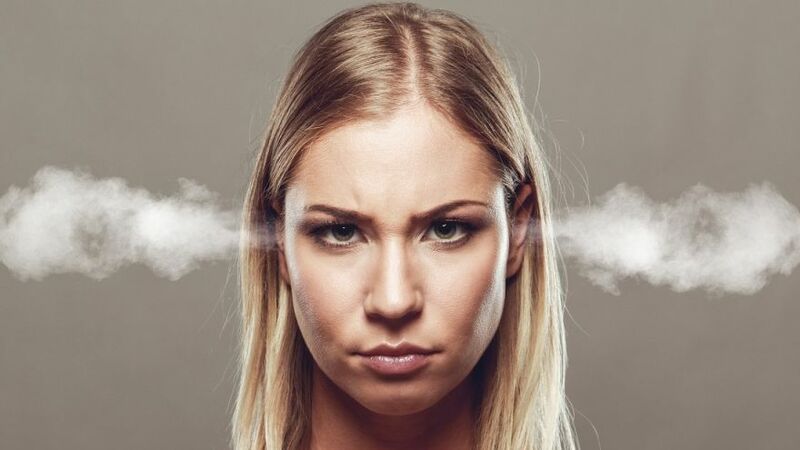 If you want to begin working on the anger, you might want to start using a few techniques for anger management right now so that they become a habit. You would not be having issues with road rage if you didn’t already have issues with anger management. If you want to deal with these issues, you will need to learn to deal with anger while also learning about rage and anger addiction. Hurting all of the people who care about you. Here are some things that you can try to assist you in controlling your anger while you are behind the wheel. Try to maintain slow and regular breaths. Make sure that you extend your belly each time you breathe in. Make sure that your body is as relaxed as possible. Doing this might assist in preventing the escalation of your anger into rage. Tune to soothing music on the radio. Music can work wonders when it comes to changing your thought process and emotions. Thing reassuring and comforting thoughts like, “Just keep driving and ignore the other drivers and it will be ok”. 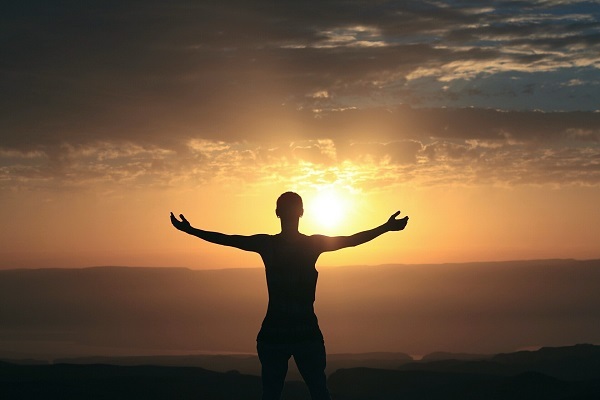 This type of positive thinking can actually be quite helpful. Always keep in mind that at one point or another, you have also triggered other peoples’ rage on the road. Remember that we are all in this together. You might be running late or in a hurry to get where you are going, but you should think about how late you will be if you get stopped for speeding, get into a wreck or end up in the hospital as opposed to getting to where you are going. It is worth being late to get there safely. Imagine that the other vehicles on the road contain your loved ones. If you are really courageous, imagine that you are sending joy and love to every other driver you see. It might sound a bit hokey but remember that we are all trying to get somewhere safely. Remember that you are a good person. You really don’t want anyone to get hurt. If you find it difficult to believe this, you might need a bit of anger counseling. Realize that every other driver around you has a family and that in a different situation, you might actually like them. Learn to recognize your anger. Most of the time, the most obvious signs will be physical, such as gestures, language, and tone of voice. With practice, you will learn how to notice the warning signs of your anger when you mentally check yourself. Common signs might include vengeful or angry thoughts, elevated heartbeat, headaches, and/or muscle tension. You might also catch yourself talking audibly, even when you are alone in the vehicle, about other drivers. If you catch your anger when it first appears, you may be able to stop it from morphing into rage. Take the time you need to calm down. If you begin to notice that you are getting angry, it might be best to pull to the side of the road as soon as you can safely do so. Put your car in park and take just a couple of minutes to calm yourself down and collect your thoughts before you begin to drive again. You might want to practice meditation or deep breathing as a way to calm both your body and your mind when you get angry. Remember that when you drive while angry, you are risking your life as well as the lives of everyone on the road with you. Even if you aren’t raging, anger can lead to reckless driving and taking risks that just aren’t necessary. Learn and use a few deep breathing techniques. Using exercises such as these can help to center you and calm you down when you are tense or angry. Breathing deeply is both easy and fast, and you can do it while you are stationary or driving. Just take a slow, long inhalation over the span of 5 seconds. Make sure that you are using your diaphragm and your belly as opposed to just shallow chest breathing. Now, hold that breath for 5 seconds. Then, exhale slowly for 5 seconds.